Giovanni was born in Sardinia, Italy, in 1978. His first contact with a camera was thanks to his uncle who had a photography shop in Giovanni’s hometown of Sassari. Rolls of film were always around the house so he took advantage by loading them in his mother’s Minolta at an early age. He began traveling to experience the world outside of Sardinia. During this time he took a break from photography to express his art via other outlets like music and live performances. 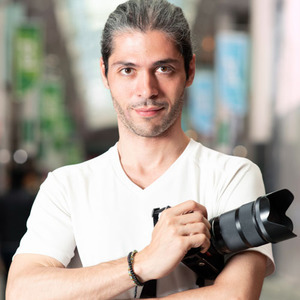 Giovanni returned to photography during the digital era. Since then he has shown a passion for capturing majestic landscapes, photographing the emotions of festivals, and making portraits.